Johnson Ranch Computer Repair Service has been providing on-site computer repair services to Johnson Ranch, AZ since 1999. Virus removal, data recovery, small business computer consulting and remote computer repair are our specialties. On-site computer repair means we come to you to resolve all your computer problems. Call us if you need same day virus removal, computer consulting for small business, hard drive data recovery or mobile computer repair in Johnson Ranch, AZ. Do you need a Johnson Ranch computer repair or computer service company? Who is Johnson Ranch Computer Repair Service? 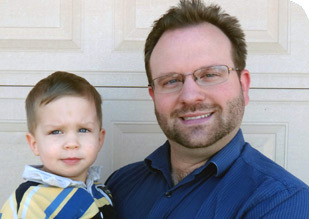 Johnson Ranch Computer Repair Service is owned by Matt Karls, an Electrical Engineer and a Computer Systems Engineer. We are a family owned and run computer repair company focused on service and quality, all our work is guaranteed. If you need computer repair, computer service or have any technology problem in Johnson Ranch, AZ we can fix it. Matt has been performing computer repair in Johnson Ranch full time since 1999. Feel free to give us a call at (480) 240-2960 or send a text to Matt Karls at (602) 633-4584. Johnson Ranch Computer Repair Service has serviced Johnson Ranch and the entire Phoenix metro area for over a decade. Recently we have decided to focus on the East Valley to better serve our clients. 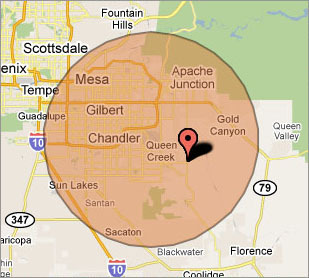 Our primary on-site computer repair service area includes Johnson Ranch and most of the East Valley of the Phoenix metropolitan area. Our mission is to fully resolve your computer problems quickly and affordably. If you want a Computer Engineer that can fix all of your computer repair and computer service problems instead of a computer technician, a computer geek, a computer guy or a tech that can only fix some of your computer problems; call us at (480) 240-2960. We are your computer repair specialists in Johnson Ranch, AZ.